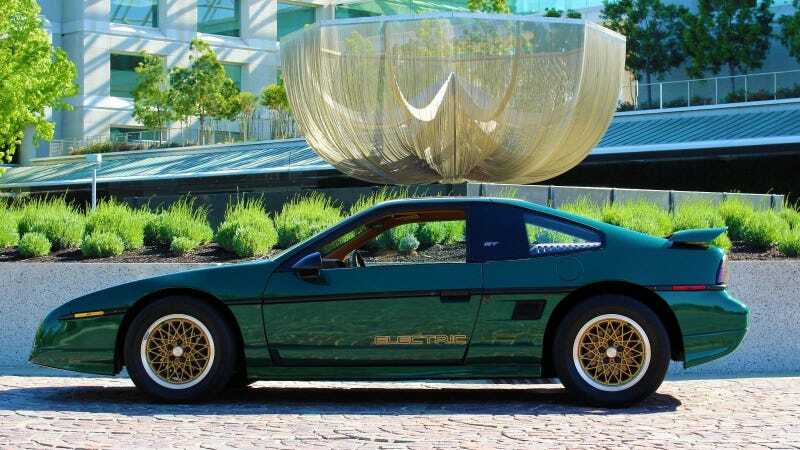 At first glance, this seems like a terrible idea, but I’ve come around to the prospect of a 1988 Fiero GT serving as a daily driven battery electric vehicle. The seller, an avid Fiero enthusiast, built this car as his own zero emissions commuter in late 2011, and has racked up 63,000 electric miles since, proving that it is not only a great platform, but perhaps more reliable than the Fiero would otherwise have been. Now it’s on eBay for you to live out your electric sports car dreams. In stock form, this Fiero GT would have produced 140 horsepower and 170 ft-lb of torque from a 2.8-liter V6. 1988 has always been considered the best year of Fiero production, as updates to the suspension and bodywork made it the most attractive and best handling model, just before production ended. While this Electrero GT has about half that horsepower number, quoted at 76 horsepower and 120 ft-lb. The motor is an HPEVS AC-50 unit, powered by a thirty-four-cell stack of Thundersky LiFePO4 cells connected in series for about 114 volts. Both the controller and the motor are aircooled, meaning there are no liquids to worry about. 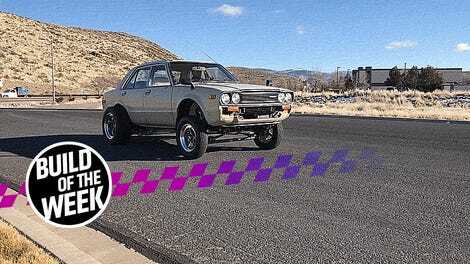 The conversion added a total of about 400 pounds to the car’s weight, but it’s been distributed more evenly than the Fiero was from the factory. The builder even went so far as to install stiffer front springs to compensate for the bulk. All of that EV stuff means this Fiero has an alleged maximum range of about 103 miles, which would have been absolutely revolutionary in 2011 when this was built. Today, it’s a little underwhelming, but still more than enough to get the average American back and forth to work every day. Unlike Porsche’s Mission E or Tesla’s new Roadster, this E-Fiero is available for purchase today, and won’t cost you tens of thousands of dollars. If you’re looking for a small, lightweight, two-seat EV sports car, this is really your only option. The seller has, somewhat tellingly, replaced this battery-powered beast with a brand new Chevy Bolt EV. They will be purchasing their seventh Fiero in order to have the long-range needed to go on spirited drives with the local Fiero Club. [That’s a thing?] There is a potential for a really good deal here, as the auction’s starting price is just $6,995, which seems an absolute steal for a mile-proven BEV converted GM sports car from 1988. A gasoline-powered Fiero GT would cost you more than that these days. Check out the video below, or the exhaustively explained auction listing for more information about the car. For $800, Could This Project 1984 Pontiac Fiero Still Keep Pace?